The newest installment of the popular children's video game franchise SKYLANDERS® arrived on store shelves this week! 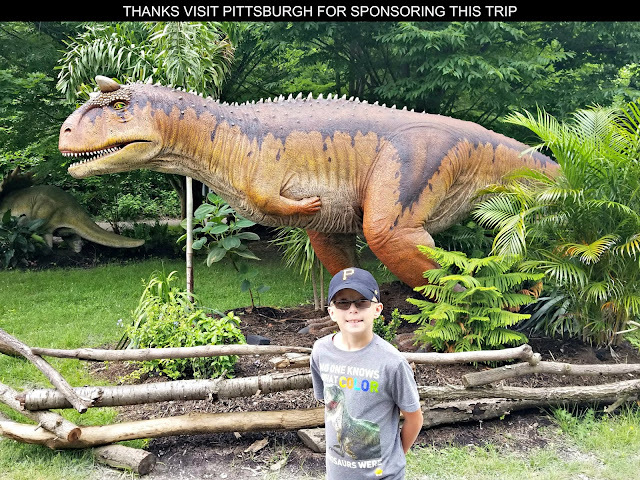 Toys for Bob, the company that develops SKYLANDERS for distribution by Activision Publishing Inc., annually introduces new characters and elements to expand upon the game play continuously making it bigger and better than the previous installments. 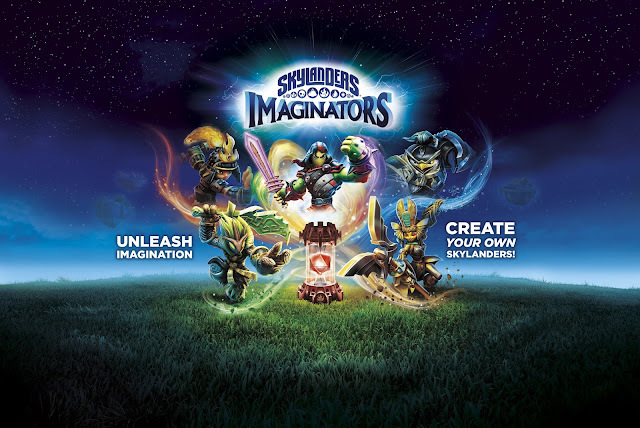 SKYLANDERS IMAGINATORS allows players to unleash their imaginations like never before by for the first time giving them the power to customize and create their very own Skylander that can be played as a primary character in an all-new adventure that features compelling storylines, puzzles, battles, and a new lineup of heroes and villains. 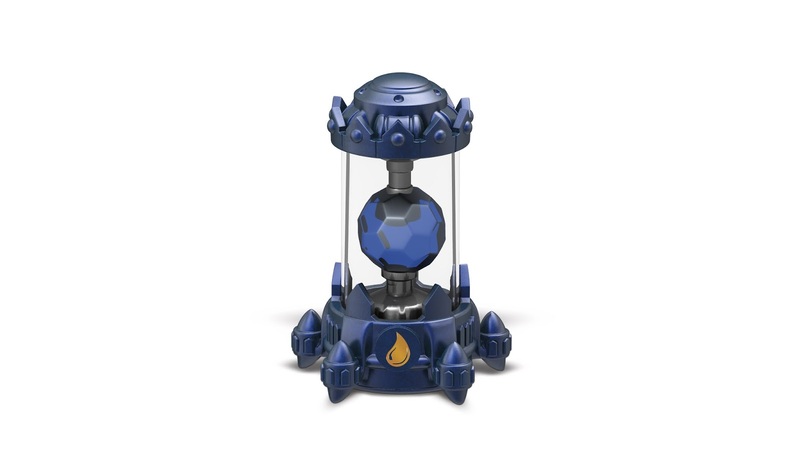 Portal Masters, as SKYLANDERS players are known as, can utilize the game's Skylander Creator option to design their own personalized characters with an extraordinary amount of options for available powers, abilities, catchphrases, appearances, and much more. The make your own Skylander characters, which are called Imaginators, can be saved on Creation Crystals. A Creation Crystal comes with the SKYLANDERS IMAGINATORS starter pack and additional ones can be purchased separately. Players can create one Imaginator character per Creation Crystal. 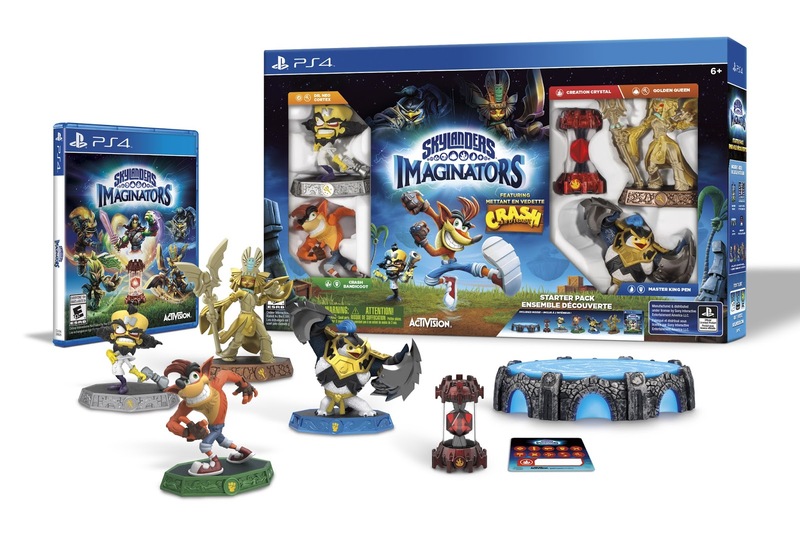 SKYLANDERS hasn't abandoned its Toys-to-Life figures, that have always been a sensation with fans of the video game franchise, for Creation Crystals though. The game will also feature a variety of toy-to-life figures for a new character class called Senseis, that like the Creation Crystals, can be purchased separately from the SKYLANDERS IMAGINATORS starter pack and incorporated into game play as primary characters. Each Sensei is a master of one of 10 powerful Battle Classes (e.g., Knight, Sorcerer, Brawler and more). Being the master of these Battle Classes, only Senseis have the ability to unleash Sky-Chi – the ultimate Battle Class super move. 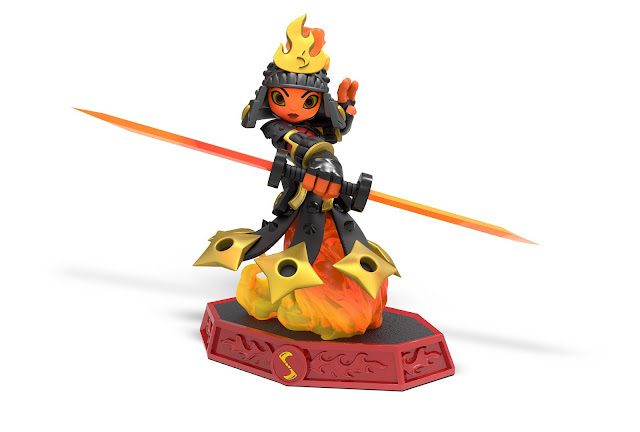 Skylanders Senseis have a master-to-apprentice relationship with newly created Imaginator Skylanders. This is supported in-game through the Sensei unlocking of unique Imaginator weapons, the increase of Imaginator level caps, providing access to special areas in the game, as well as the unlocking of new Secret Techniques for Imaginators of the same class. 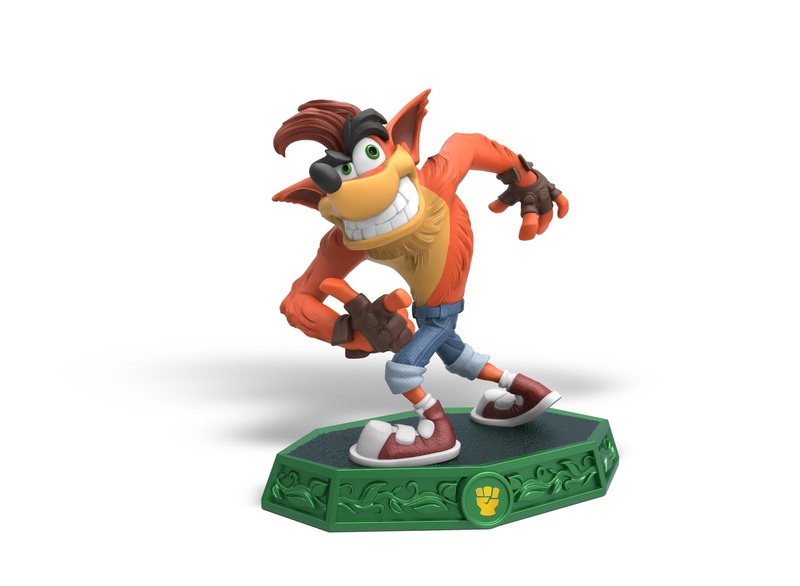 Skylanders Senseis include 20 new characters and 11 former villains, including Kaos and the return of Crash Bandicoot and Dr. Neo Cortex. SKYLANDERS IMAGINATORS also has an all-new Crash Bandicoot-inspired level -- Thumpin’ Wumpa Islands -- which is steeped in nostalgic gameplay that will be appealing, especially to moms and dads who many were probably kids themselves when Badicoot first appeared in a video game, for getting the whole family interested in playing together. Thumpin’ Wumpa Islands is packed with TNT boxes, crabs, hazards, temple ruins, Wumpa Fruit, exploding crates and more. It also includes special Crash Zones that bring back the classic massive boulder chases from the original Crash games. The Thumpin’ Wumpa Islands level will be available to players who purchase the SKYLANDERS IMAGINATORS Starter Pack featuring Crash Bandicoot for PlayStation consoles at launch and will be available as an add-on adventure pack for everyone else available during the holiday shopping season. This incredible box just arrived at our house! Activision generously sent A Geek Daddy a SKYLANDERS IMAGINATORS starter pack along with a great selection of Senseis and Creation Crystals for my kids to have fun playing with. To say my kids are enthusiastic to start playing the new SKYLANDERS IMAGINATORS video game would be an understatement! SKYLANDERS IMAGINATORS is compatible with PlayStation 3, PlayStation 4, Xbox 360, Xbox One, and Nintendo Wii U. 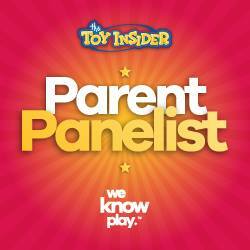 Parents who have purchased toys-to-life figures for previous editions of the game will also be pleased to know SKYLANDERS IMAGINATORS supports the 300+ character toys from all previous Skylanders games -- including Skylanders SuperChargers, Skylanders Trap Team, Skylanders SWAP Force, Skylanders Giants and Skylanders Spyro’s Adventure -- that kids can enjoy both as toys to play with in the real-world as well as characters they can use in the virtual game world.